Sterling silver hallmarked filled Lion. 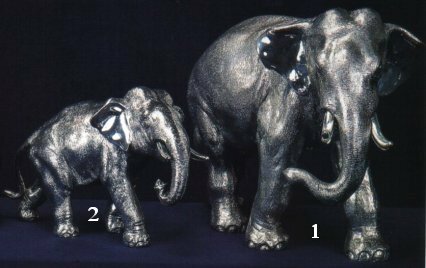 Sterling Silver Hallmarked & Filled Elephant Figures. Each piece is indivdually finished and has been modelled to show every details of these wonderful animales. Sterling silver hallmarked filled elephant. 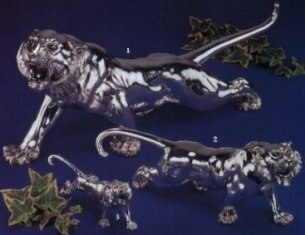 Hallmarked Sterling Silver filled Tigers manufactured in Sheffield UK superdly detailed.